The heat couldn't stop us! It was a record temperature day in Atlanta, but it was record fun for those who were in Chastain Park. 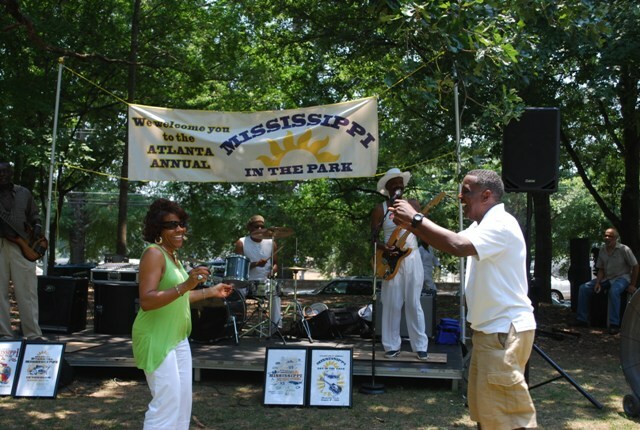 The Mississippi Society of Georgia held its 4th annual picnic and, as in each of the previous years, managed to bring in new and interesting facets. 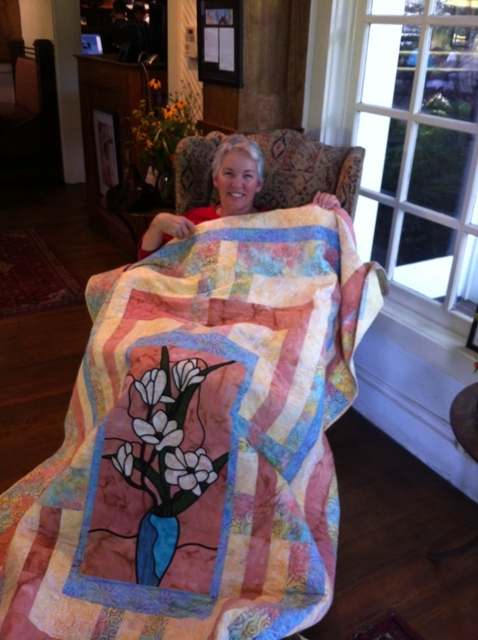 Jimmie Turnage created a beautiful quilt which raised nearly $2,000 in funds for our scholarship. The entertainment was superb. The Shuffle Junkies cranked up the day and Chick Willis "brought the heat" in the afternoon set. Upon arrival, guests were asked to pin their "hometown" on a Mississippi map and get a sticker to indicate their area of the state. See the 2012 Picnic photos for the final map with pins. Folks were able to link up with neighbors that they did not know were here in Georgia! Penn's of Mississippi brought new options for the lunch as they provided catfish as well as chicken and great sides, too! McAlisters had plenty of their famous sweet tea on hand to keep everybody cool. Back by popular demand was Sugaree's and the caramel cake that we all love. With all of this to delight the senses, there was no thought given to it being a record 108 degrees out. Though next year we hope it is a bit cooler! 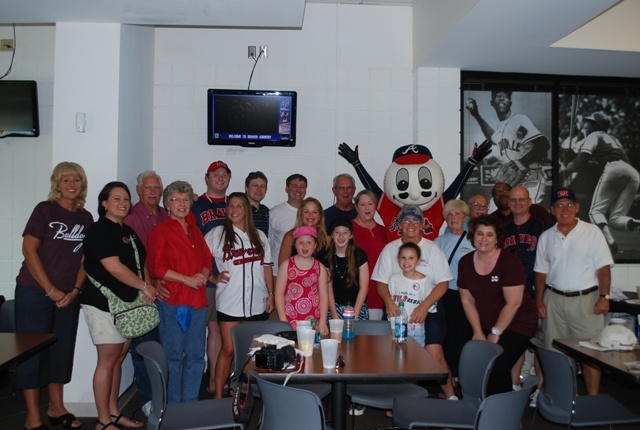 This year we had a Friday night at the Braves with a pre-game social in the Hank Aaron room. We sold out all tickets and had a great time at the game. See the 2012 Braves section of photos. Thank you for supporting the Mississippi Society of Geogria!